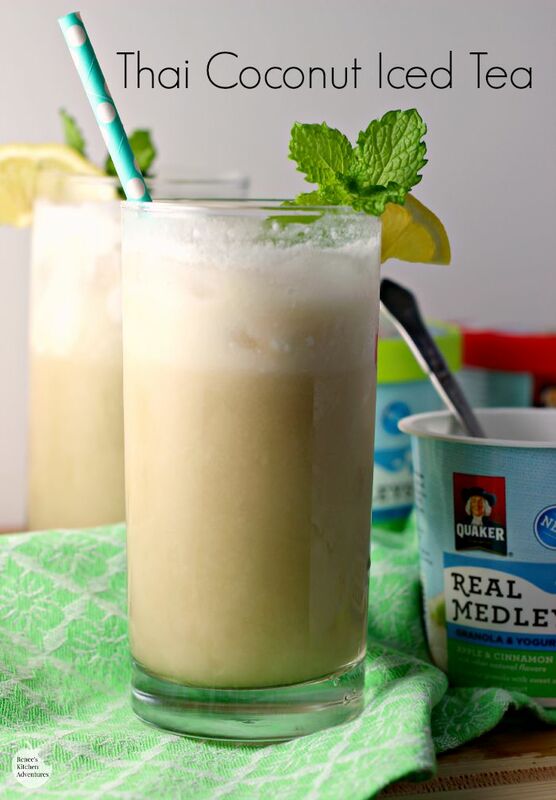 Cool, refreshing and the perfect accompaniment for NEW Quaker® Real Medleys® Yogurt cups, Thai Coconut Iced Tea really hits the spot on a warm summer morning! Together they make a great "crunchy, cool, yum" for your morning. Have you seen them yet? 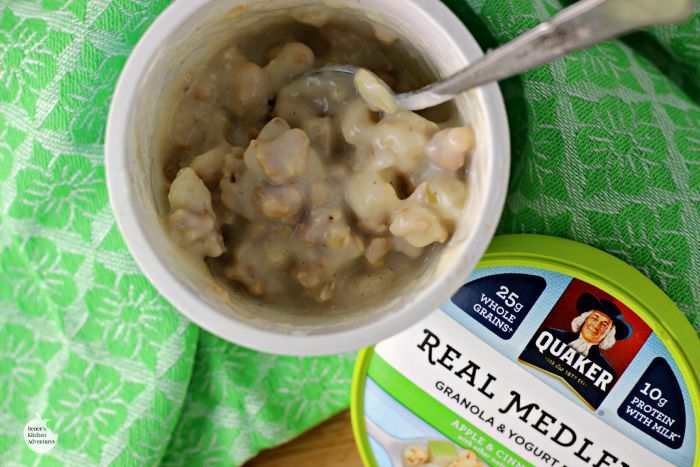 The new Quaker® Real Medley Granola and Yogurt Blend cups found in the cold or ready-to-eat cereal aisle? I've never seen anything like them! Real Medleys Yogurt cups are a delicious blend of shelf-stable yogurt and multigrain granola with real fruit and crunchy nuts. Oh they are so good and so easy to prepare. Just stir in COLD MILK for an instant yogurt, fruit and granola breakfast (or snack!). It's been HOT this summer in so much of the country. (Although you know me, I'm all about bringing on the heat! haha) I know I can't even think about a warm breakfast most mornings, so I've been swapping out my usual hot cup of coffee for a nice cool glass of iced tea and some cold cereal! 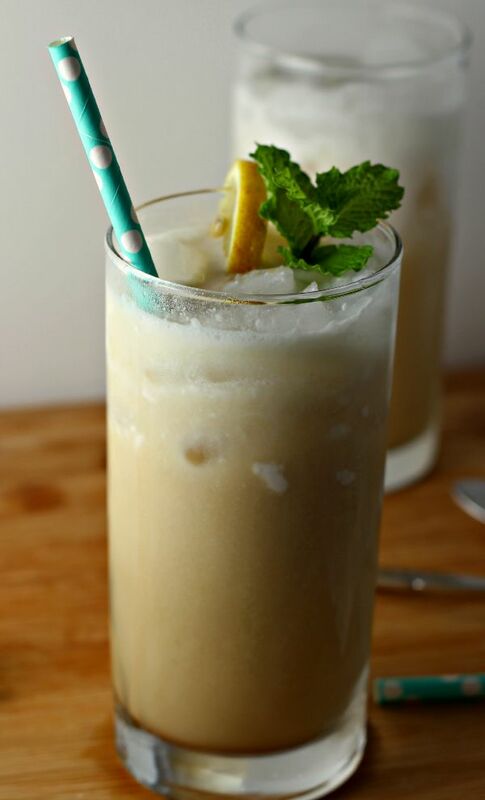 This Thai Coconut Iced tea pairs wonderfully with Quaker® Real Medleys Granola and Yogurt Blend cups (especially the Apple & Cinnamon flavored ones, but the Strawberry and Almond ones are yummy too!) for a wholesome breakfast when the temperatures are soaring. Let's talk about these yogurt cups...I'm pretty giddy over the fact that they are shelf-stable! It's actually the first shelf-stable convergence of granola, yogurt and fruit in a single serve product and it will be a perfect thing to send my middle son back to college with! He won't have to worry about them expiring in the refrigerator after a few weeks like non-shelf stable dairy products do! I'll feel good knowing that he can get a satisfying and delicious breakfast or snack when he is away. And the preparation could not be easier, just add milk, stir and eat! But enough about my experience with this awesome product, you can sample it for yourself at participating Walmart's product demos between 8-13-15 and 8-16-15. 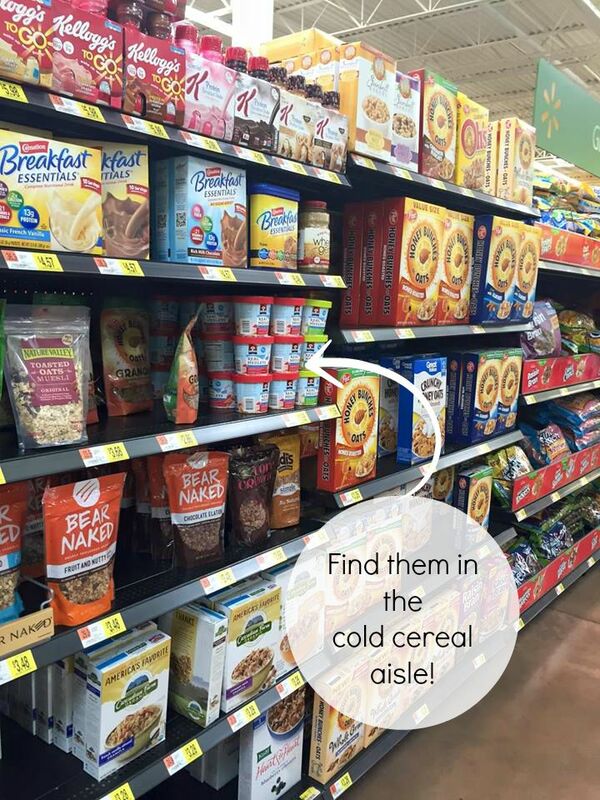 Click this link to see if your Walmart is one of the participating stores! Now that I've explained how easy it is to make the Quaker® Yogurt cups, let's get back to the Thai Coconut Iced Tea! While your milk is soaking into the yogurt cups, you can prepare the iced tea! Then add 2 TBS granulated sugar to the warm tea and stir until it's dissolved. 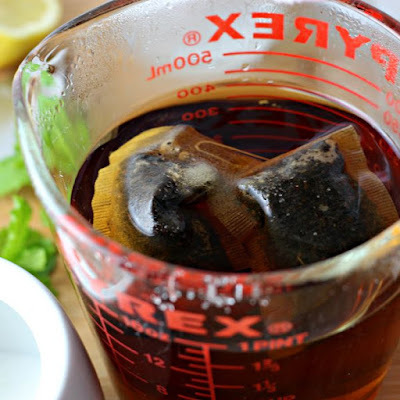 Pour about 1 cup of the sweetened tea into prepared glasses filled with ice. Next add in the coconut milk. You can add as little or as much as you like. I added about a 1/2 cup per glass. 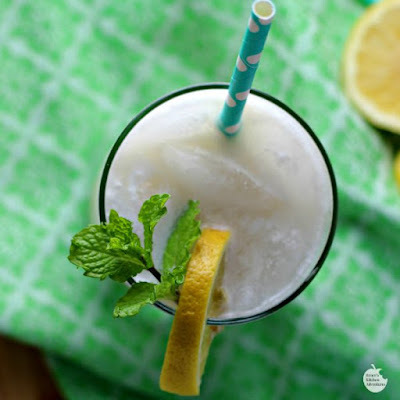 Give it a little stir, garnish with some lemon and mint, if you like, and enjoy! 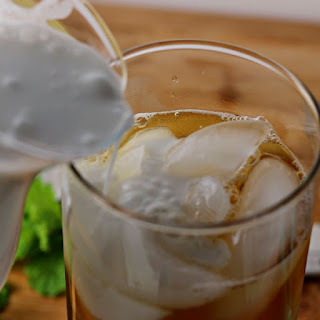 Brewed tea combined with a little sweetener and full fat coconut milk makes a refreshing drink for your summer mornings or a wonderful afternoon pick me up! Steep tea in boiling water for about 5 minutes. Discard tea bags. Add in granulated sugar and stir until dissolved. Fill large glasses with ice. 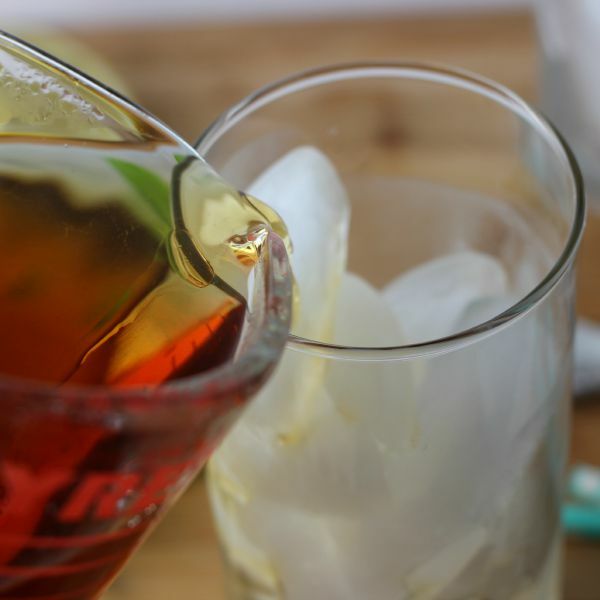 Pour about a cup of tea into each glass over the ice. Stir. What would you pair with the NEW Quaker® Real Medleys® Yogurt cups? Download the Blippar App from your Apple or Android store to scan your package of Quaker® Real Medleys Yogurt Cups for more information and tutorials! You can also follow Quaker® on Facebook, Twitter, Pinterest and YouTube. I keep meaning to look for those yogurt cups. That seem like such a great idea to have on hand. Your ice tea is perfect for an afternoon pick me up. Thanks Medeja! It really is! This iced tea sounds amazing! And I keep hearing about this new yogurt from Quaker. Mind blowing that it is shelf stable! :) I need to pick up a few soon and give them a try. Thanks Carrie! It's pretty cool!